Anyone who’s ever worked in healthcare knows there’s a seemingly endless battle between administration and staff. Change can be extremely difficult to implement in any facility when the pressure to cut costs and improve metrics is high. But, a new study, published in Nursing Open, offers hope. 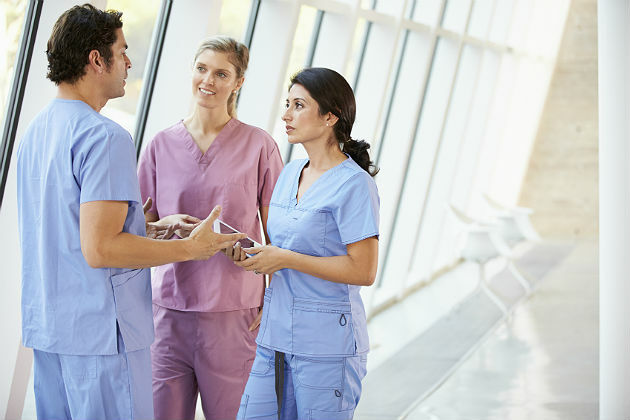 According to the study, nurse managers who exhibit four key attributes have an easier time implementing changes in their wards. The four attributes are empathy; proactivity; respect for personal beliefs as well as external standards; and "having both micro and macro perspectives." Nurse managers that successfully implemented changes recognized staff nurses’ feelings, experiences, and pride. They understood that empathy for their staff was essential to the change process. It was essential for nurse managers to have long-term visions for their wards. Those who could separate current problems from future problems, predict future difficulties, and determine which situations would deteriorate without intervention were better at making changes. Their desire to prevent issues from worsening supported their motivation to prioritize long-term transformation. Better results were achieved when nurse managers’ personal beliefs about leadership, change, and nursing aligned with their facilities’. Successful nurse managers assessed their wards using micro and macro perspectives. They collected information about turnover rates, staff characteristics, number of incidents, and relationships between staff members. However, they also interpreted their findings within the context of what was happening in their wards. They weren’t afraid to interview staff and were capable of accurately "reading between the lines." The findings of this study are the result of interviews with 23 nurse managers and 17 nurses. Most were in their 40s, though a few were in their 30s, 50s, and 60s. Participants were predominately female. Some had less than a year of management experience while others had decades of managerial experience under the belts. Most employers offered training for certified nurse managers. The nurse managers interviewed worked in medical/surgical, long-term care/rehabilitation, ICU, or palliative care at a university hospital, sub-acute rehabilitation center, or an acute care facility. Facilities ranged in size from 100 to 800 beds. If change is a sore spot for your organization, you may want to consider cultivating the four attributes identified in this study. Management training, nurse manager mentorship programs, and robust orientations are excellent ways to support nurse administrators. However, because some attributes may be difficult to teach, it’s prudent to assess whether prospective candidates exhibit the characteristics of successful nurse managers. "What disagreements have you had with staff when you’ve had to make changes? How did you handle the situation? What was the result?" Look for candidates that demonstrate social awareness. You want to know that the candidate will try to understand their staffs’ feelings, experiences, and pride. Nurse managers that understand the differences between the role of nurse and nurse manager may be better equipped to institute change. "What did you do in the past when you recognized a problem? What was the result?" Candidates should be able to detect problems and forecast potential results. They should also value long-term change and demonstrate a sense of urgency or a preference for being proactive. "After collecting data on key metrics in your ward, how would you approach addressing weak areas?" Successful nurse managers will often seek to investigate their findings thoroughly and in the context of what’s happening in their wards. They’ll also conduct informational interviews with staff and thoroughly investigate underlying causes before making any changes. "What are some of your beliefs about nursing and leadership?" "What do you know about our mission?" Answers should demonstrate that the candidate is self-aware. Interviewees should have a firm set of personal beliefs regarding nursing and leadership. Their personal beliefs should align with your mission. Misalignments will quickly lead to problems when implementing change. Healthcare organizations face tremendous pressure to meet high standards while staying on budget. A nurse manager who can get the buy-in of his or her staff and improve their ward is invaluable. Now, administrators and human resource professionals know what attributes to look for and cultivate. Amanda Ghosh, MS, BA, is a freelance writer pursuing her third degree, a BS in nursing. Previously she studied nutrition and journalism. She has worked as a Wellness Director and Adjunct Instructor. Amanda’s writing focuses on nursing and the healthcare industry. To inquire about her services as a writer or healthcare journalist, please email her at ghoshamanda@gmail.com.